It should not come as a surprise that there are a large number of spreadsheet templates available nowadays. 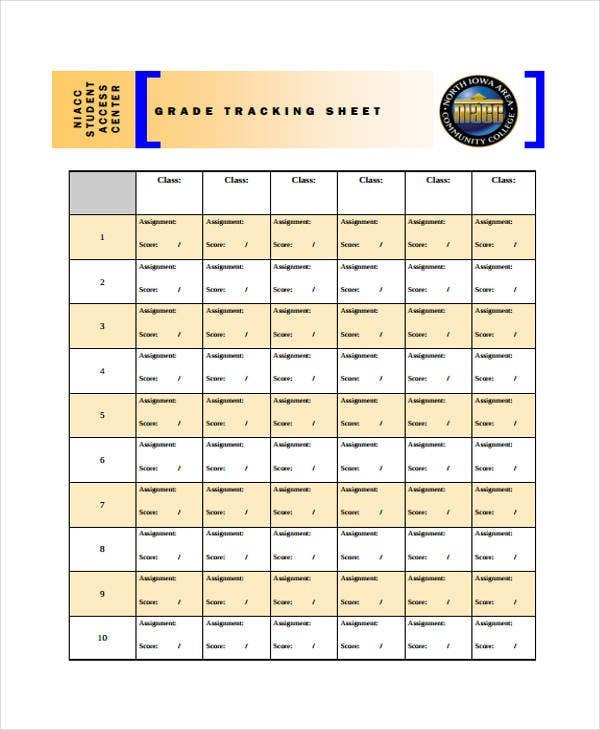 A Grade Sheet Template comes to mind, as this is a convenient template to have for teachers looking for an easy way to compile and record their students’ grades. 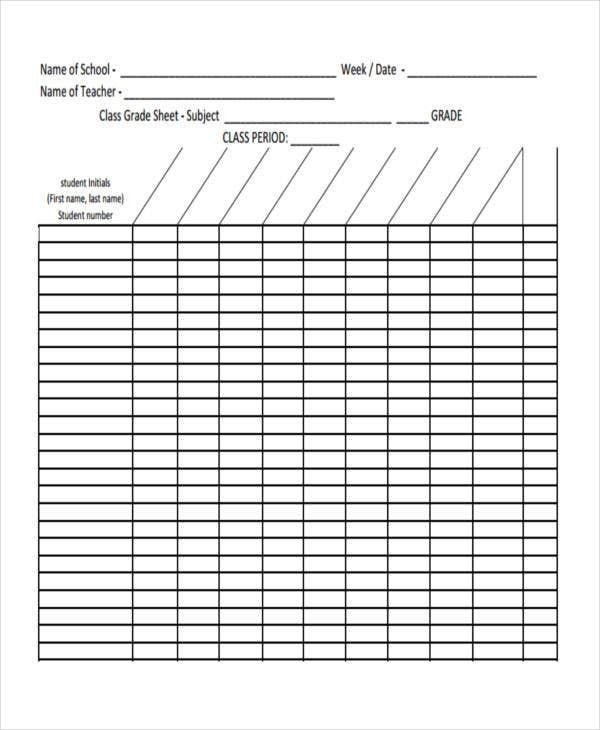 While there are several kinds of Sheet Templates in general, grade sheet templates are specifically meant for teachers. After all, there are more uses for these sheet templates than just for business-related purposes. 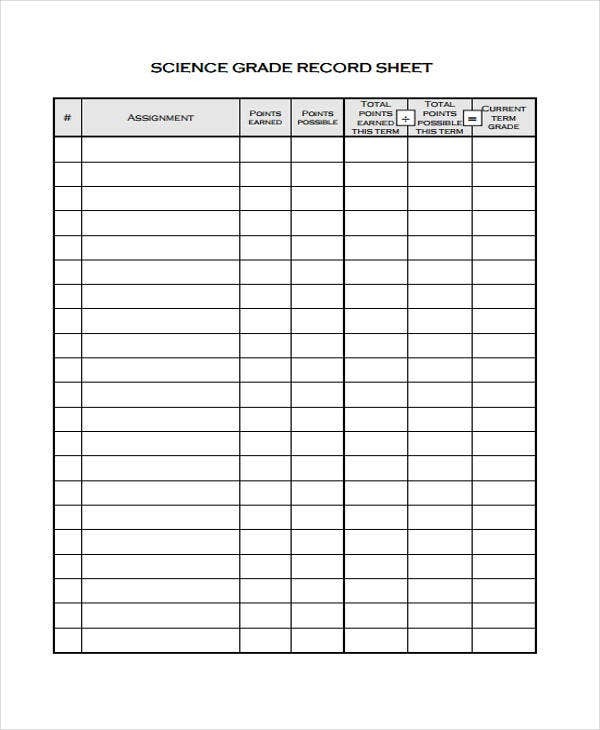 Any job where you can expect to keep records is one that would need these sheet templates, and that includes teaching. 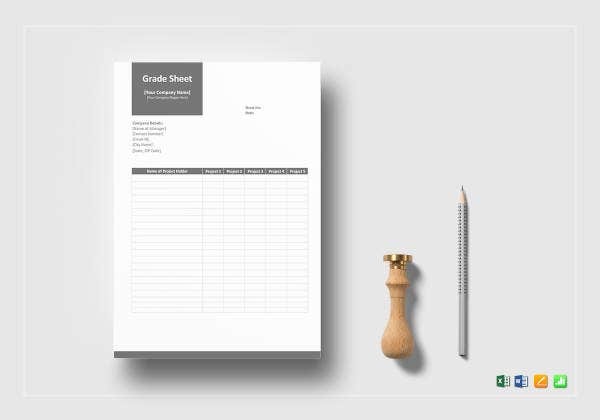 All kinds of Free Excel Templates are used to record data, such as students’ grades. 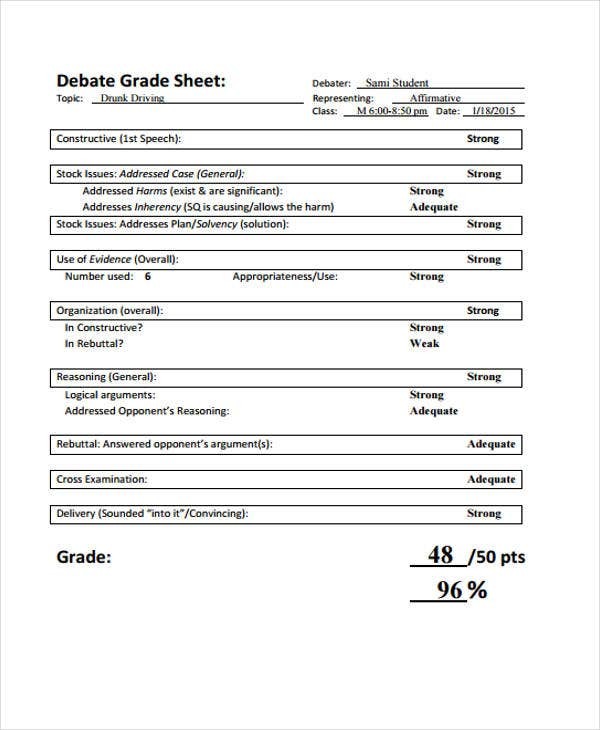 In the case of sheet templates, like Balance Sheet Templates, the data must add up properly to prevent recording errors, so here are some ways you can use your grade sheet templates to avoid that. You should make sure to arrange all your students’ names in order. List their scores properly so that you have an idea of their performance per activity or test. Use a formula to calculate their total score. Compile individual results and have an overview of their performance. 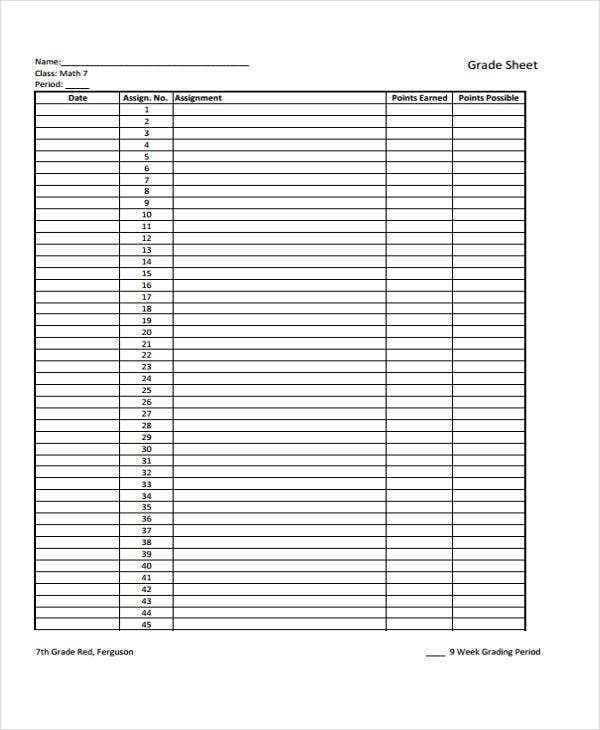 There are some specific reasons why you might want a grade sheet template. Blank Spreadsheet Templates are much the same, as you can always fill in the blanks. Like Term Sheet Templates, these are preliminary documents so that the final product suits your actual purpose. The obvious use of these templates is for ease of record-keeping. The template makes it possible to have a flexible framework for any situation. 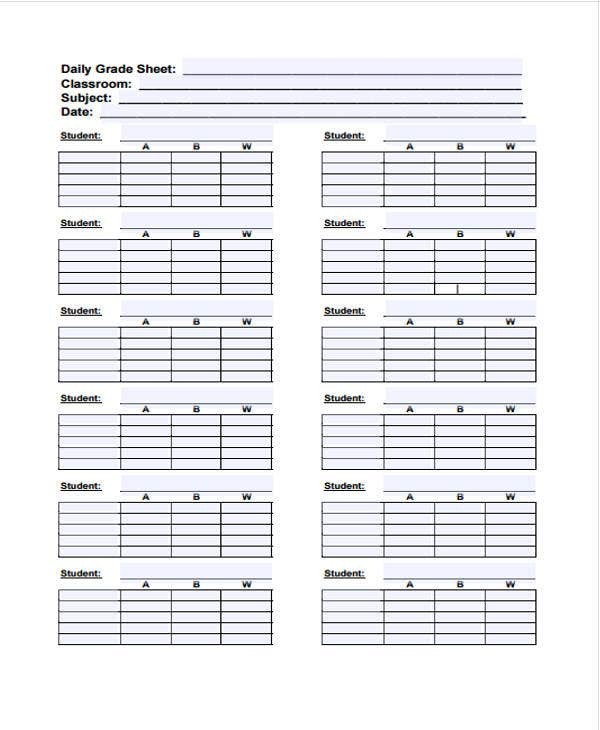 The template also makes it easier to monitor your students’ performance, so students with low performance can receive the appropriate assistance. 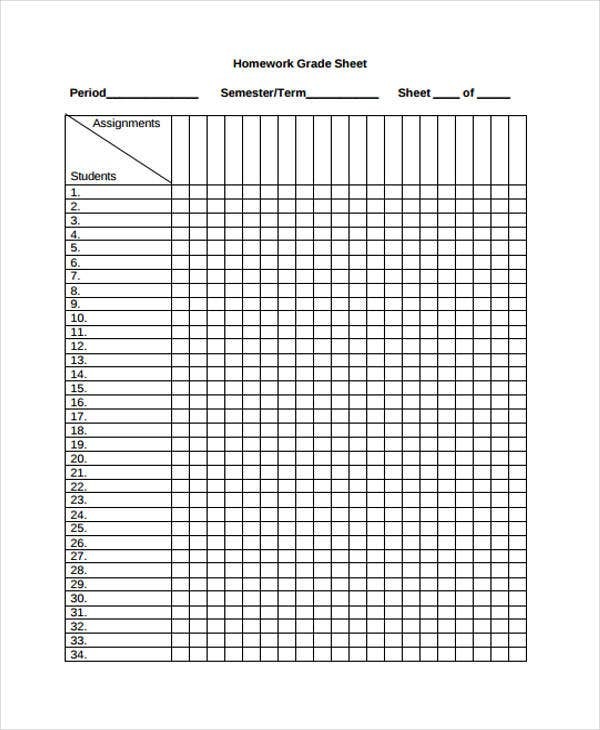 The template can also help you maintain discipline, as you can tell who among your students are actually doing the work required of them. There are also some tools that can make your use of such as Reference Sheet Templates that are also convenient and easy to use. 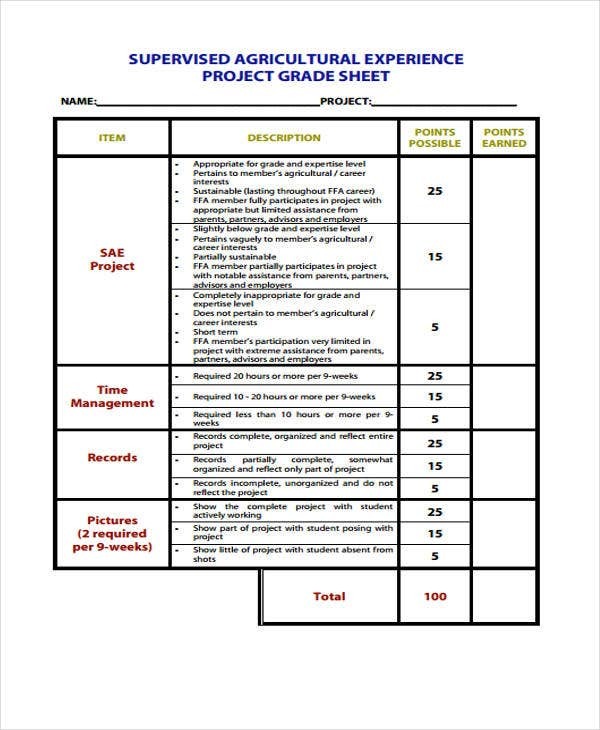 Grade sheet templates, like a Tracking Sheet Template, can be utilized more efficiently if you kept these tips in mind. You should choose as simple a template as possible. This would make it easier for you to keep track of your records. After all, the job would be simpler if you could monitor a class with one document. Be specific with regard to names, dates, semesters, etc. This way, all the important data is already listed, and the job of compiling everything is simplified. Also, have a system for making sense of all the data, so that your work can be made more streamlined. Of course, there are yet other kinds of spreadsheet templates available on this website. 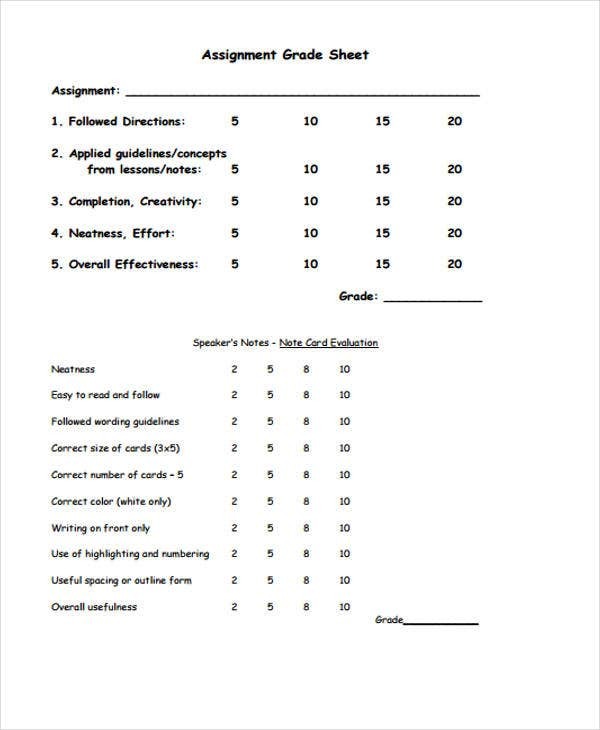 While grade sheet templates are still valuable tools, they are also very specific ones. Even if you happened to be in a different line of work, you need not worry about not being able to find something you can use.